Ashley Saint was born and raised south of Atlanta and loves calling Georgia her home. She has a deep, long-standing passion for serving others and knew from a young age that God was calling her into the field of nursing and caring for mothers through the process of pregnancy and childbirth. Ashley had the beautiful and unique experience of witnessing her first birth as a teen, this experience catapulted her nursing ambitions into the specific field of pregnancy and childbirth. She views the opportunity to participate in the birthing process as a true blessing and derives great satisfaction from guiding and empowering women of all ages through the process of making healthcare decisions and taking charge of their wellness. Because of her personal experience in childbirth, with what she believes to be two unnecessary c-sections for her daughters' births, Ashley is a determined advocate for the midwifery model of care. 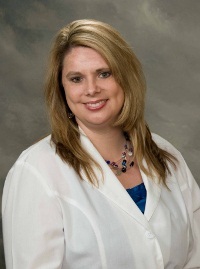 Ashley obtained her undergraduate degree in nursing from Florida Gulf Coast University in Ft. Myers. She continued her avid learning by working as an R.N. in Labor and Delivery for seven years before pursuing and receiving an M.S. in Nursing at Frontier School of Midwifery and Family Nursing. Through this process of learning, growing, and serving others, she has been encouraged and engaged by an incredibly loving, supportive, and successful husband and two beautiful daughters. It is as a holistic unit that Ashley and her family have enjoyed the journey toward achieving this dream and fulfilling her calling. The primary tenets of Ashley's midwifery philosophy are: empowerment, education, and encouragement. She hopes to work alongside a mother to achieve her goals and equip her with the confidence she needs to have a successful and satisfying birth experience. 2008-2010: Registered Nurse, LDRP; Northside Cherokee, Canton, Ga.
Lee Memorial Health System, Ft. Myers, Fla.
2002-2005: Registered Nurse, Cape Coral Hospital LDRP; Lee Memorial Health System, Cape Coral, Fla.
2001-2002: Registered Nurse, Surgical Oncology; Lee Memorial Health System, Ft. Myers, Fla.